WHEN: Thursday, November 8, 4:30-6:30 PM. WHERE: Jenner & Block LLP, 353 North Clark Street, Chicago. INFORMATION: Contact the Council at 773.595.4012. The Interreligious Leadership Award is given each year by the Council of Religious Leaders of Metropolitan Chicago in recognition of those individuals, programs, or organizations that embody the Council's goal of promoting religious harmony in our community in service of the common good. 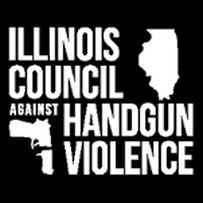 The Illinois Council against Handgun Violence (ICHV) is the oldest and largest statewide organization in the United States working to prevent the devastation caused by firearms. ICHV successfully advocates for policies designed to minimize the impact gun violence has on Illinois residents, and through their efforts Illinois has some of the most progressive gun laws in the country. CRLMC is a member of the Illinois Handgun Violence Prevention Coalition and is highlighting the moral imperative of reducing gun violence in our communities. The Rev. 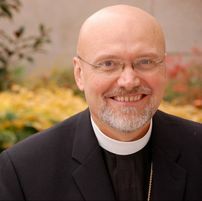 Wayne N. Miller is the immediate Past President of the Council of Religious Leaders of Metropolitan Chicago and Bishop of the Metropolitan Chicago Synod of the Evangelical Lutheran Church in America. Since his installation in September of 2007, Bishop Miller has served the Metropolitan Chicago Synod, helping its congregations and communities to embrace renewal, growth, and positive change. He is a member of the ELCA Conference of Bishops Task Force on Immigration Reform, and chair of the committee on Ministry Among People in Poverty. From 2016 until February 2018 Bishop Miller served as CRLMC President. The Rev. Paul H. Rutgers is Executive Director Emeritus of the Council of Religious Leaders of Metropolitan Chicago. 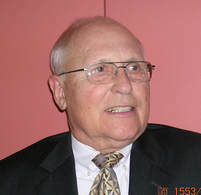 He served as Executive Director of the Council from 1998 until 2008 and Co-Executive Director until January 2017. From 1992 to 1993 he served as CRLMC President. 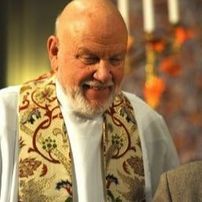 Previously, From 1986 to 1998, Reverend Rutgers served as the Executive Presbyter of the Presbytery of Chicago, the regional governing body of the Presbyterian Church, (U.S.A.). He is now Chicago Presbytery’s Executive Presbyter Emeritus. Reverend Rutgers served pastorates in New Jersey and New York prior to coming to Chicago. The Rev. Dr. Stanley L. Davis, Jr. The Rev. Dr. Stanley L. Davis, Jr., is Executive Director Emeritus of the Council of Religious Leaders of Metropolitan Chicago. Dr. Davis served as as Co-Executive Director from 2008 until January 2017 and as Executive Director until February 2018. From 1984 through 2003 he served as the Executive Director of the Chicago and Northern Illinois Region of the National Conference of Christians and Jews (NCCJ) where he was instrumental in expanding and redefining interfaith work in the Chicago area. A lifelong participant in struggle for civil and human rights, Rev. Davis was involved in the many activities that revolved around the formation of the Chicago Freedom Movement and the ministry of Dr. Martin Luther King, Jr., including participating in the 1963 March on Washington.